How many times a day do we ask the question, "What time is it?" Sounds like a simple enough matter until we take the time to think about it. It’s not as if we can’t tell the time with all our time-keeping devices from wrist watches, to smart phones, to wall clocks. Often, the question suggests that it’s more than chronological time that we are concerned about but rather the significance of the hour, whether it be the appointment we are to keep, the dateline we have to meet, or the lateness of the hour. In the English language, there is an accepted commonsense notion of “time”. This notion of “time” suggests a measured unit of the ongoing duration of life- it’s measurable by the ticking of the clock, the realm of time and space we all inhabit. Time measures life chronologically, in a linear manner. In the Greek New Testament many words allude to time. The Greek word for this common-sense notion of “time” is chronos, thus giving rise to the English derivate, “chronological.” Time moves chronologically. 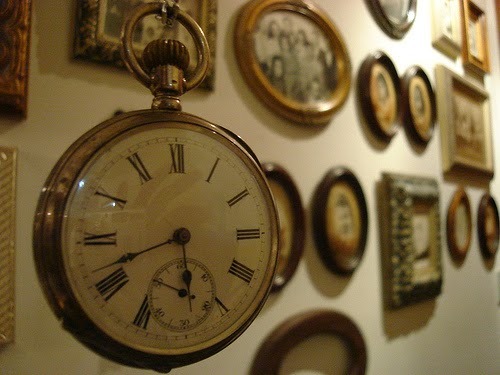 But there is another sense of “time” in our English language: The time is right! This time speaks of the moment of opportunity – the opportune moment, the hour of decision. One understands this sense of time as the right moment to act. The Greek word for this second meaning of “time” is kairos. Kairos, therefore refers to the moment for decision. If time is so important to man, that it affects every aspect of his life, time is even more important to God. God is working out his purposes across time. On the other hand, God is not strictly bound by time, either. When God, the timeless One, enters into our discussion of temporal time, the timeline of history is extended beyond any possibility of human calculation. Salvation history reads human history quite differently - History has a beginning in God, it has its centre in Christ and its end in the final consummation and the Last Judgment. In today’s gospel, we see the consequence and conclusions stemming from Jesus’ declaration that “the time has come.” This is no ordinary time that he speaks of. Here the words of Jesus points to that great moment of Kairos, to the inbreaking of God’s kingdom into our earthly and temporal reality, the moment that poses the most urgent decision to every listener who hears this announcement – to either follow Christ or remain unchanged by this encounter. Thus, kairos has become heightened time, a time bursting forth with meaning, a moment pregnant with possibilities. In that very announcement of the gospel of Christ, we see the God-given moment of destiny not to be shied away from but seized with decisiveness; the floodtide of opportunity, the unseen waters of the future surge down to the present, when heaven touches earth and the earth is aligned to heaven in a conjunction that will never be witnessed again. Since that “time,” our experience of time will no longer be the same. If Kairos is the moment of decision, the moment of action, the moment of change, what is that decision, or action or change that must be undertaken? The words that follow immediately after the announcement of kairos time sets out the path we must follow, “Repent, and believe the Good News.” Pope Paul VI observed: "These words constitute, in a way, a compendium of the whole Christian life." They are the sum and substance of being Christian. This is the Gospel in a nutshell. To repent and believe the good news is nothing less than a spiritual paradigm shift, a spiritual revolution. It is the divine turning point, God turns to man in a way that was unprecedented and never anticipated, inviting man to turn to God in the most radical of ways. The Greek word “metanoia” expresses this reality. Literally, metanoia is the state of thinking differently. When one tries to translate the word metanoia, one immediately runs into difficulties: change of mind, reconsidering, remorse, repentance, turning back, conversion are available, but none of these words exhausts the contents of the original meaning. But it is apparent from the Scriptures, however, that the change involves more than the adoption of an attitude, a philosophy, or a manner of life because it involves an encounter with God in the Person of Jesus Christ. As Pope Benedict XVI put it in his book Credo for Today: “Metanoia . . . is actually the fundamental Christian act, understood, of course, in terms of one very definite aspect: the aspect of change, the act of turning, of becoming new and different. In order to become a Christian, a human being must change, not merely in one place or another, but unconditionally, down to the very bottom of his being.” The person of Jesus is very clearly at the heart of metanoia. We encounter the Lord Jesus who calls us by name. We have two options: continue on our way, or metanoia. We either follow our own path or follow Jesus on the way. There is no third way. And if we decide for metanoia, we opt for a radical, interruptive change of our entire being. The person who encounters and decides to follow Jesus resolves to give the Lord Jesus his all. There is nothing – absolutely no holding back. Metanoia means a resolve to turn to Jesus with all our heart, soul, mind and strength throughout our entire lives. Every Christian, therefore lives in two time zones – the temporal and eternal. When kairos intersects kronos, the decisive moment has already come. Every single moment becomes deathly urgent. At every single moment, we stand at the threshold of Judgment Day. “The Time has come,” it’s D-Day. No more time for procrastinating or dilly dallying. No more time left for half-hearted commitment. No more time for casual deliberation and long-term planning. The urgency of the hour of grace and judgment is upon us. Today, Christ stands at the door of your heart knocking. It’s time to open the door and let him in. Time to heed the call to repentance and to whole-heartedly believe in the Lord of Time and History. Time to stop walking away, but start walking in the direction of Christ. Do not delay!